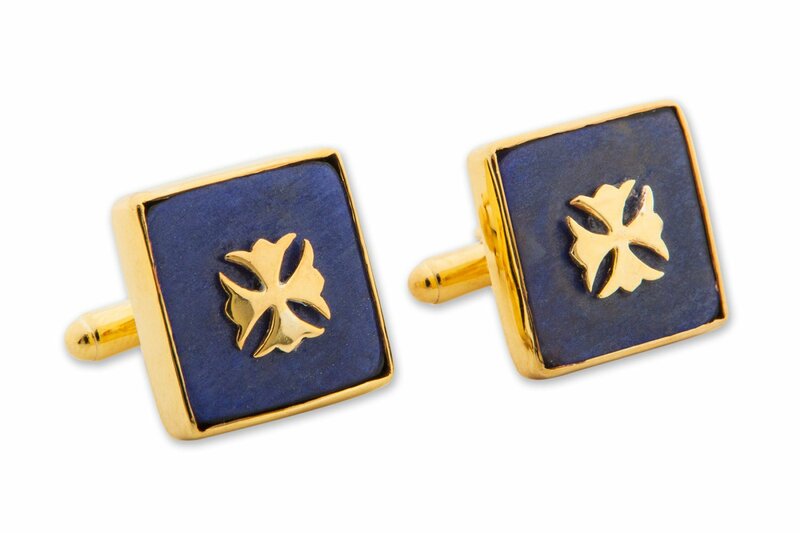 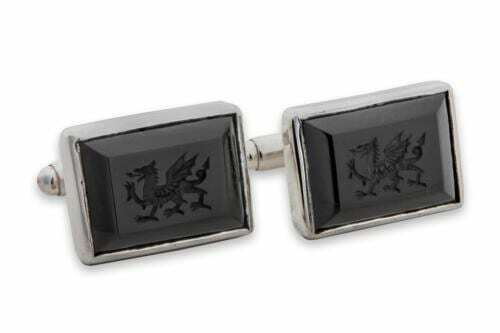 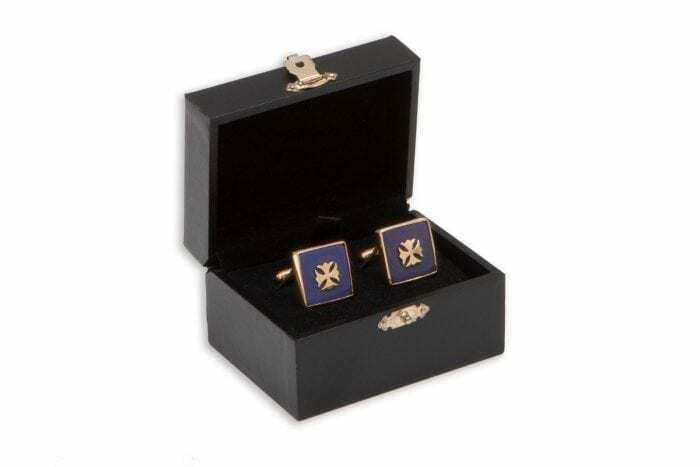 Lapis cufflinks overlaid with heraldic gold plated (5 Microns 18K Gold) sterling silver Cross fleuri. 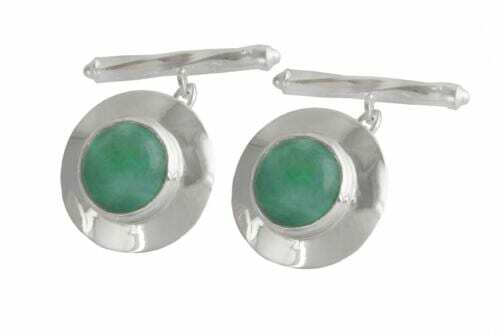 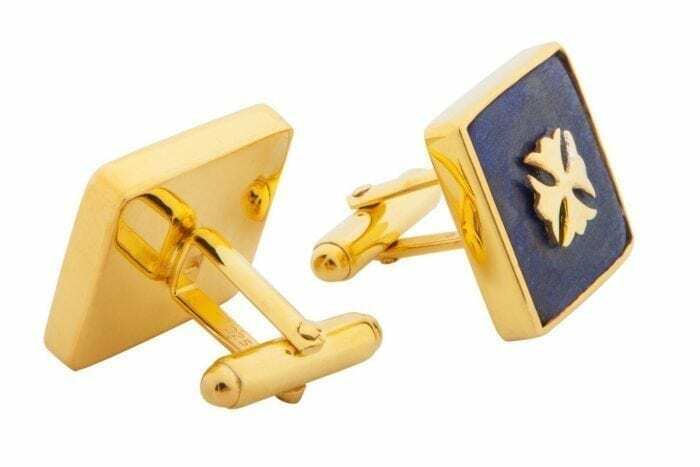 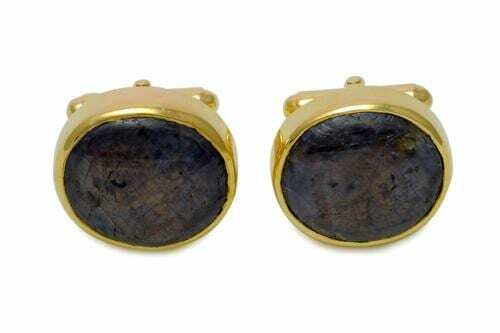 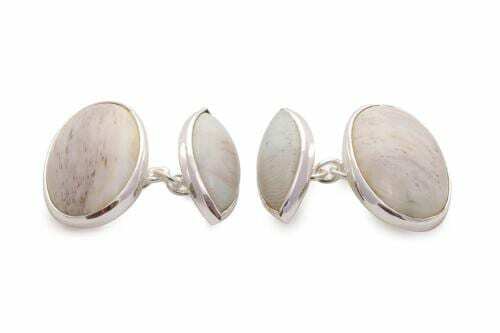 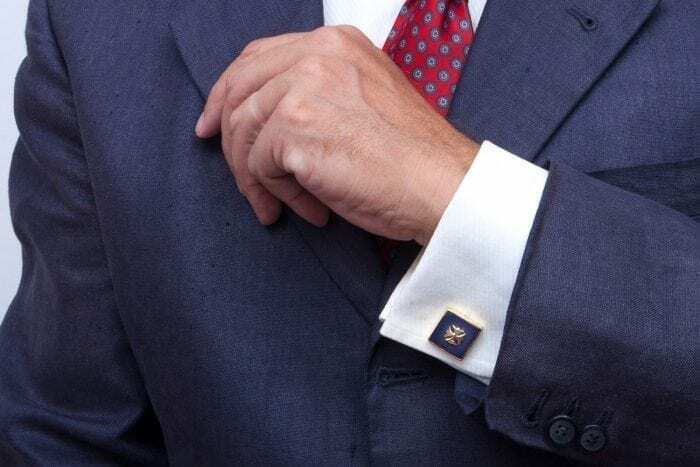 Hand crafted square lapis lazuli and gold plated (5 Micron 18K Gold) sterling silver cufflinks are mounted to gold plated (5 Micron 18K Gold) sterling silver easy-fit swivel attachments. 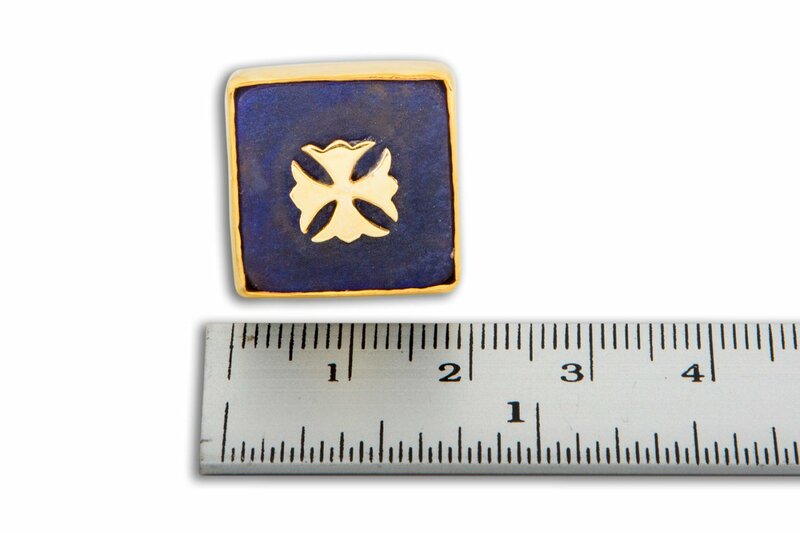 The lapis square measures 18 x 18 mm (11/16 x 11/16 inch).